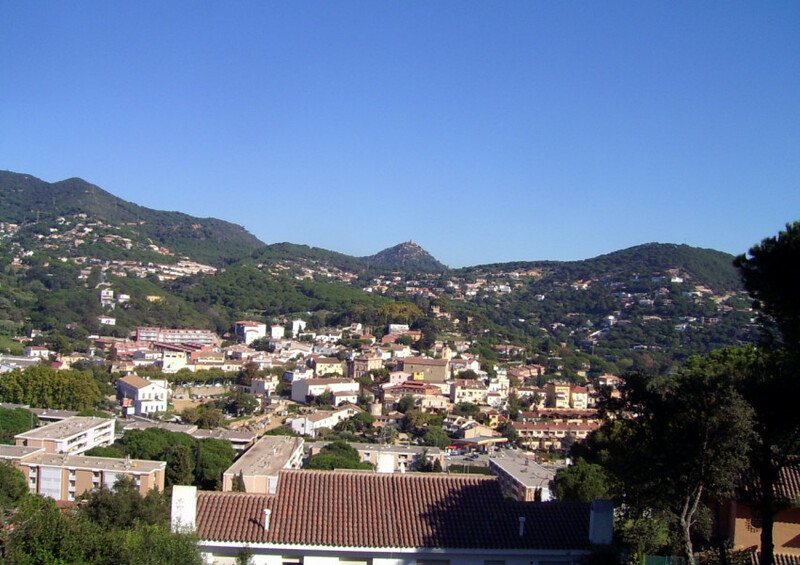 Cabrils is a municipality of the Maresme zone, located 26 km from Barcelona and 3 km from the Mediterranean sea. During years floriculture (mainly of roses and carnations) has been extended in the surroundings of Cabrils providing the population of true romance. Its Mediterranean climate, mild in winter and warm temperatures during the summer, makes it a pleasant place to live. Its proximity to both the sea and the mountain allows you to enjoy various activities: sailing, golf, mountain biking, or pleasant walks along the paths of the Sierra del Litoral. Tranquility for the family but with the possibility of enjoying the power of Barcelona. Cabrils is an ideal place for those looking for a luxury property in a place calm between sea and mountains in a pleasant climate and a village care and arranged near a big city like Barcelona. Built by Jaume Bofarull 1923 imitating a medieval castle. It seems to have come out of a fairy tale. Palms and pines rise opposite the Castle giving a magical and beautiful atmosphere. From August 15 to August 18 school L’Olivera of Cabrils is filled with culinary aromas, handicraft, unique products and recipes. Former cloth factory acquired by the City Council. Currently the role of civic centre. It is where most of the cultural and social activities of Cabrils is performed. In the basement there is the public library and a movie theater. Ancient farmhouse of the 17TH century, situated in the Centre of Cabrils. Currently hotel and restaurant of Mediterranean cuisine with innovative touches. His fame is well known throughout the region. Albert Ortiz Lázaro, chef of the restaurant has worked with Ramon Freixa, with Ferran Adrià, with Juan Mari Arzak and the Roca brothers. At his restaurant he puts into practice his experience with innovative Mediterranean cuisine with quality and market products. Considered one of the best restaurants in the region of Maresme by the excellent quality/price ratio, raw and its surroundings and facilities. Offers a high quality product, created and served by an outstanding team.